Monsoon is a magical & dreamy season. But it does need a little preparation from our end to enjoy it fully. I had just settled back with cup of hot tea after having shopped around that afternoon to get my wardrobe monsoon ready! The first mild showers had announced the arrival of the heavy monsoon season. Water resistant footwear, clothes, a cute umbrella & a few knick-knacks later, I was ready for the cold showers :). And then I saw it. A few damp patches all across the ceiling of my living room area...the place where we have dinner as a family, the space where we receive guests, the space that I am extremely proud of!!!! As I slowly walked room to room, I could not believe the sights before me. One wall in the bedroom was damp to my touch and there were a few fine cracks. The study area too required some urgent attention due to seepage as we reside on the top floor of the building & quiet often rain water gets accumulated on rooftops. Realization hit me slowly that just like my wardrobe my home needs to be water-proofed too. I started reading about leaking roofs and water seepage in the walls of houses. I was worried to note that if left unattended, water seepage in monsoons may develop black spots around the seepage area and cause health hazards. The rains along with their soft pitter-patter sounds bring moisture & dampness into our homes. I started frantically researching about how to keep my home dry, clean and safe during the monsoons. 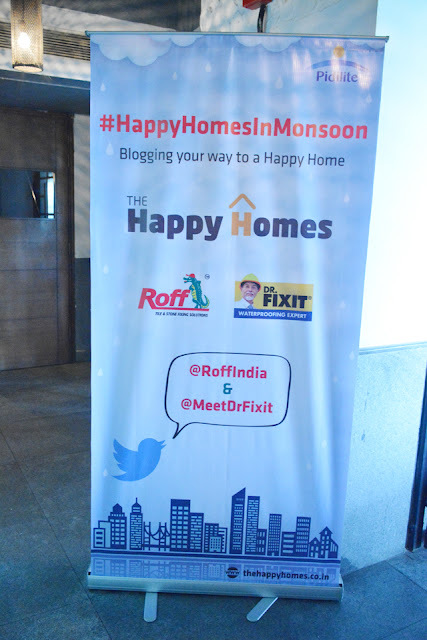 The answer came to me when Dr. Fixit & Roff India from the house of Pidilite invited me to an interesting event to experience “Readiness for Monsoon” and what needs to be done for an ideal home environment. I was more than happy to be a part as by now I knew that it was imperative to protect my home from seepages, cracks and dampness by waterproofing it and avoid spoiling the beauty of my dream abode. The event started off with a warm welcome of all the participants and by sharing the idea of a happy home for one & all along with launch of the happy homes blog. We also played a couple of games to make our meet interesting- building blocks to make the tallest structure (having a strong base was the intent here) and a jigsaw puzzle. Epoxy Grout, a solution for filling joints between the tiles is oil and stain resistant and is Indian Green Building Council (IGBC) approved. Available in 22 colors, it is quite economical at ₹ 600 per kg. A demo was also shown about how easy it is to clean up. It's anti fungal and crack proof and has a permanent colour that never fades or blackens. A fun activity where we matched pictures of household problems with the applicable Pidilite product was informative. 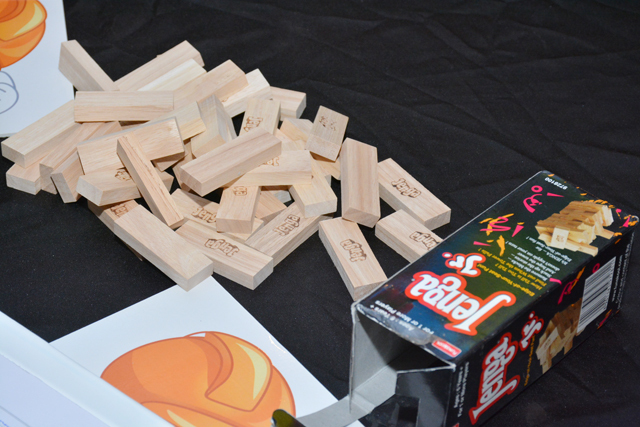 The Pidilite company spokesperson took a quick look at the pictures & offered his inputs. 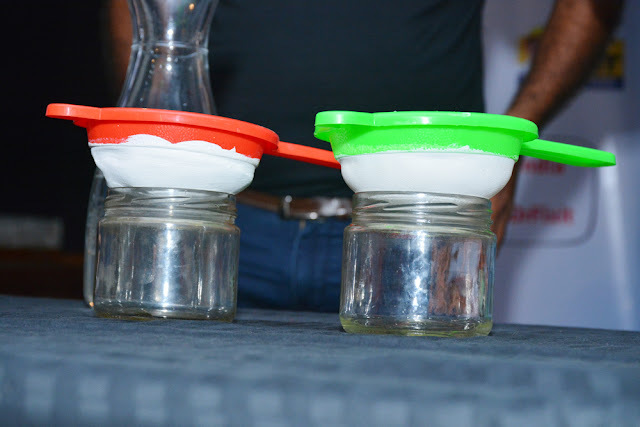 He then introduced us to few more products and emphasized on the fact how the products are named based on the problem, such as Dampguard for internal dampness, Crack-x-paste for fixing cracked walls & another useful product, URP- universal repair product. A Q&A round with him was insightful & he admitted that Indian market is not yet into using DIY products but he is hopeful that the scenario will change. A quick fact to note was that a team of 10 people provide home care solutions and services...a perfect way to enjoy stress free monsoons! 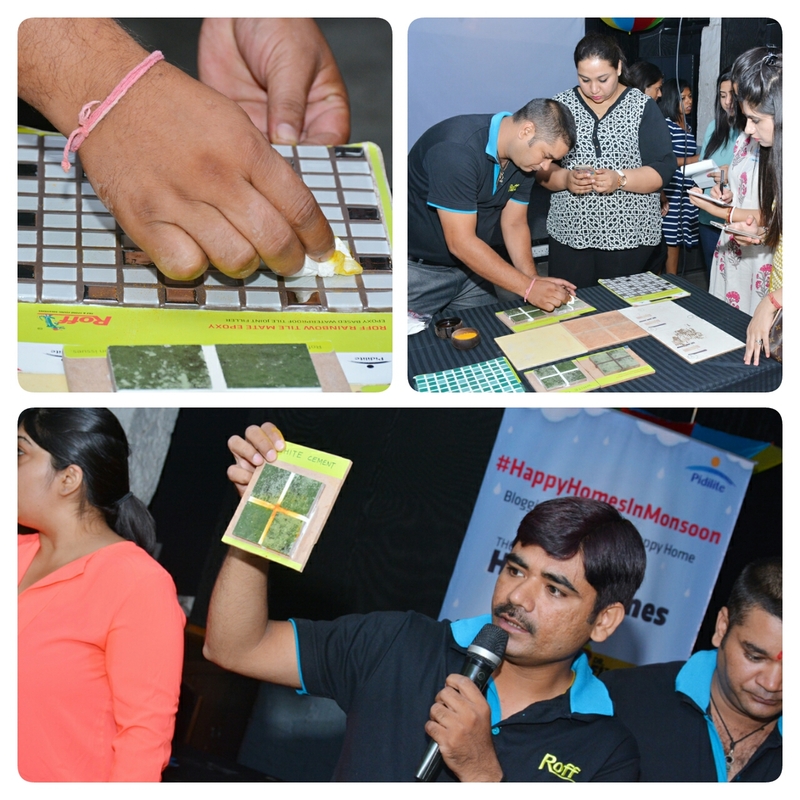 I returned home smiling and felt that with products like these #HappyHomesInMonsoon is not a dream but a possibility with Pidilite. I wanted to get rid of sogginess and seepage that is the main cause of the growth of mold and moss. I thought that it would be worthwhile to learn about dampness removal techniques, so I visited a blog read more about it. It helped me to overcome all confusions, and call the waterproofing specialist immediately.